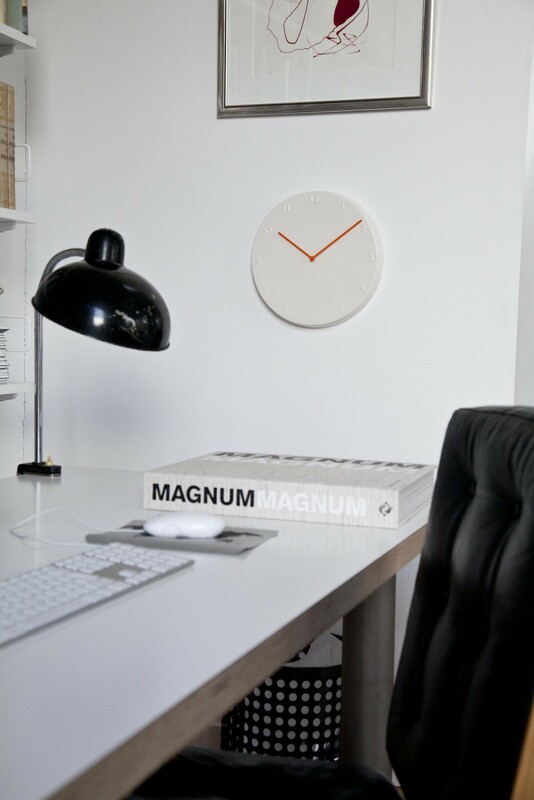 This ceramic wall mounted clock was originally part of my degree project at the RCA. The clock dial is cast altogether with numbers and mounting, giving the product a clean and minimal look with a neither masculine nor feminine appearance. Ora is available in two sizes and comes with matt or shiny glaze. Clock arms are in PP.